Japan also carried out a failed missile test on Sunday, despite repeated warnings from the US and others to stop its nuclear and missile activity. The Japanese action as a leading member of NATO military terror alliance was in response to North Korea threat to sink the Carl Vinson and a US submarine, amid rising tensions in the region. 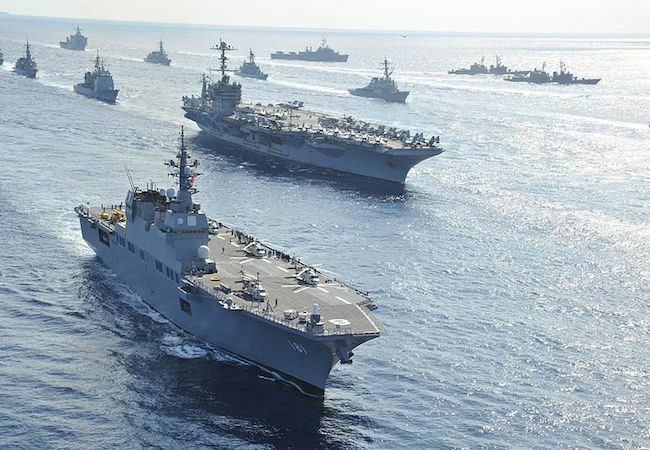 The Izumo’s deployment follows recent joint exercises conducted by Japan and the USA, and other naval developments. China last week launched its second aircraft carrier.